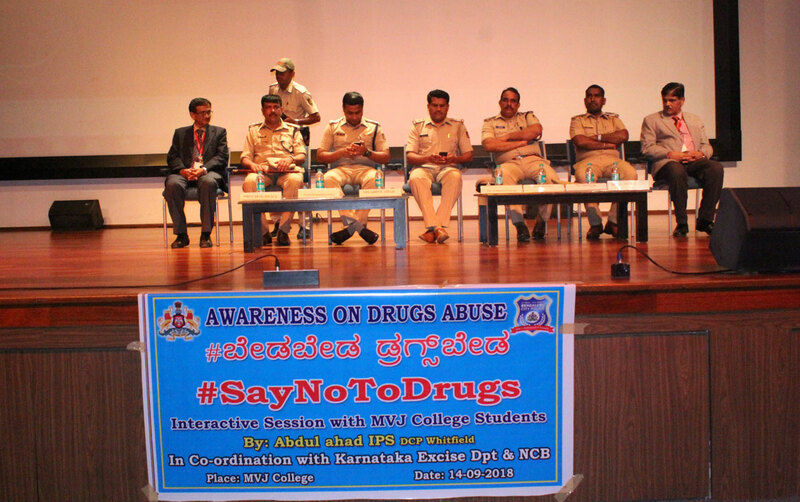 Bangalore, 17th September, 2018: In an effort to prevent the abundant drug abuse cases among students MVJ College had organized a Drug Awareness Programme at their campus. Established in 1982, MVJ College of Engineering, the flagship institution of Venkatesha Educational society, imparts education in technology and management. Situated in a 15-acre campus in Whitefield, Bangalore. MVJCE is permanently affiliated to Visvesvaraya Technological University, Belgavi and approved by All India Council for Technical Education (AICTE).